Full Tilt Poker has been open now for a few months again and they’re about to host the Full Tilt Online Poker Series (FTOPS) XXII starting on Sunday, March 17th 2013 and ending at the end of the month on Sunday, March 31st 2013 with the main event. There are 38 tournaments during the FTOPS XXII with a total of $10M in guaranteed cash up for grabs. Satellites are running still in the poker room and you still have the chance to earn seats in most of the tournaments for a fraction of the actual buy-in. 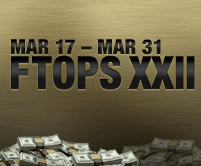 Full Tilt is hosting a number of tournament formats during the FTOPS XXII including several new formats. The three tournament formats on the FTOPS XXII schedule include the Irish tournament, Escalator tournament and 5-Card Stud tournament. Everyone’s favourite Rush Poker tournament format will be on the FTOPS XXII schedule as well. Full Tilt will also be hosting the popular multi-entry, double/triple chance and re-entry tournaments during the series over the next two weeks. 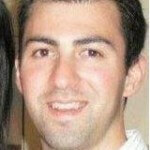 Like always, there is a special freeroll tournament called the “Bouncebackability Freeroll”. If you’re the last player knocked out on the bubble in any of the 38 events you’ll receive entry this special freeroll where the winner earns a ticket to the main event. Full Tilt Poker will be awarding a few special prizes to players that manage to final table any of the 38 events. There is also going to be a leaderboard and the player that earns the most points on the leaderboard will win a huge prize package. •	FTOPS XXII Leaderboard Champion – Custom avatar and entry into every FTOPS XXIII events (Except 2-Day). •	FTOPS XXII Final Table Prizes – Make the final table in any event and you receive a custom FTOPS jacket. •	FTOPS XXII Tournament Winners – Win any event and you receive a jacket plus a gold FTOPS jersey. There are tournaments scheduled for the FTOPS XXII that everyone will enjoy. With big guarantees for most of the events there is a chance that there could be overlays in some of the events that aren’t as popular such as the non-Holdem tournaments. Don’t forget that you can transfer money from PokerStars to Full Tilt Poker and vice versa now. If you have funds on PokerStars already you can sync your two accounts and freely transfer money between the two poker rooms.